Surgery for your pet can be a difficult decision and one that comes with a number of considerations that must be balanced. This is why we strive to ensure you have all of the information necessary to make an informed decision. This includes the reason behind the need for surgery, what the procedure entails, and recovery time and postoperative care needs. Once you feel comfortable that you are making the right choice for your pet, we will create an individualized care plan for your pet's surgery. The goal is to ensure the best outcome for your dog or cat while minimizing stress and discomfort to your pet. Aviara Animal Health Center truly believes that our personal attention to each patient and client is what makes our surgical services unique. 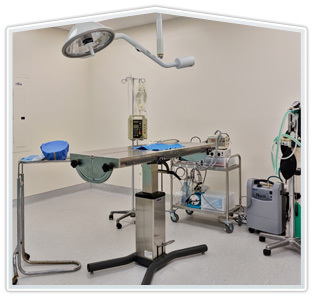 As a full service veterinary hospital, Aviara Animal Health Center's modern surgical suite and the skill of our medical team allow us to provide your dog or cat with a wide range of surgical procedures. Beyond routine spay and neuter surgeries, we offer mass removal, splenectomy, hernia repair, cystotomy, and general soft tissue surgeries for the abdomen, stomach and eyes. Since companion animals, especially those in their later years, often suffer from a range of joint and ligament injuries and maladies, such as arthritis, orthopedic care is an important component of keeping your pet healthy. Orthopedic surgeries offered at Aviara Animal Health Center include cruciate repair, amputations, joint luxation repair, femoral head ostectomy, and tibial plateau leveling osteotomy. Additionally, should your pet require the care of a veterinary specialist, we are partnered with a network of board certified specialists in our area. Ensuring the health and safety of your pet during surgery is of the utmost importance and requires an anesthetic and monitoring regimen that adheres to the highest principles and ideals of veterinary medicine. 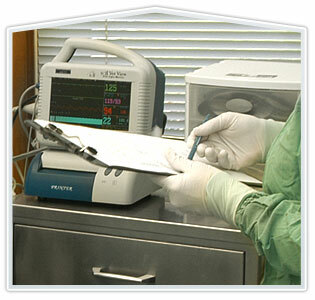 At Aviara Animal Health Center your pet has access to state-of-the-art anesthetic administration and cardiovascular monitoring equipment and protocols. 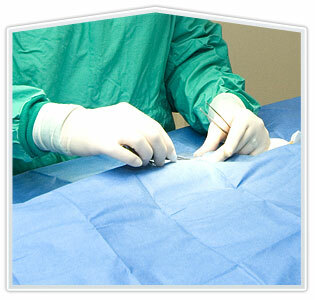 Prior to your pet's surgery he or she will be examined and a pre-surgical blood screen is performed. The results of these tests and your pet's past anesthetic history, breed, pre-existing conditions, and age are used to create an individualized anesthesia protocol for your pet. While under anesthesia your pet will be cared for by a well-trained and experienced veterinary technician using our monitoring system, which tracks blood pressure, heart rate, respiratory rate, body temperature, and oxygen level. 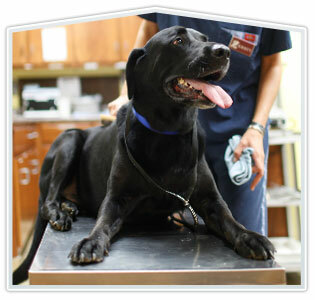 Additionally, all pets receive an IV catheter to ease delivery of fluids, pain meds, and other medications. Aviara Animal Health Center takes pain control very seriously and no animal is ever allowed to be in pain in our clinic. As your pet is being discharged from the Health Center, your pet's veterinarian will meet with you to provide detailed information on how to properly care for your pet at home after surgery as well as answer any questions you may have. We are available and happy to answer any questions or concerns that may arise once you get your pet home. We also encourage our clients to bring their pet back for follow up exams with the veterinarian and ongoing preventative education.